Enterprise wireless Customer Premise Equipment (CPE) provide high performance TCP/IP transport for dedicated access, trunking and mid-range backhaul applications. 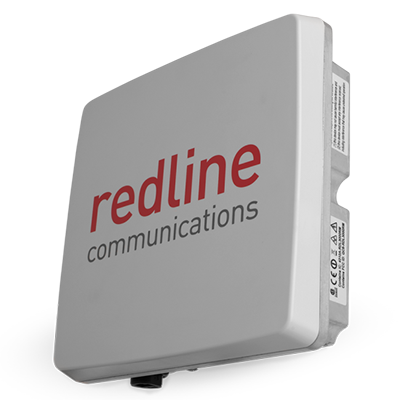 Either deployed in pairs for point-to-point (PTP) service or connected from multiple sites to the Redline Ellipse series base station in point-to-multipoint (PMP) applications, Enterprise terminals deliver reliable, simultaneous voice, data and video services, economically. Superior non-line-of-sight (NLOS) performance allows for lower antenna heights and significantly reduced deployment costs. Flexible mounting options and full over-the-air provisioning lowers upfront costs and yields faster ROI. Enterprise-CPE offers the most cost-effective solution while Enterprise-XR meets the challenge of sites requiring extra power or extended distance.